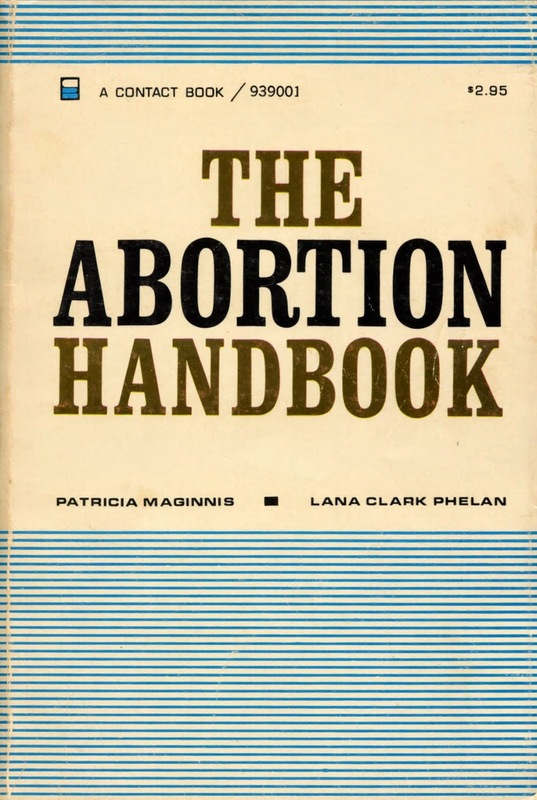 I’m sharing this blog by Holly Grigg-Spall, author of Sweetening the Pill because, like Holly, I think The Abortion Handbook, written by Lana Clarke Phelan and Patricia Maginnis, is as timely today as it was when it was published over forty years ago (with some outdated sections, of course). Holly’s comments about how Lana’s and Pat’s tips on “faking our periods” fit right in with women’s performance art work designed to bring menstruation out of the closet. This reminds us that our work on our reproductive and sexual health cannot be divided into departments of menstruation, birth, birth control, abortion, menopause. All these aspects are interconnected, and if we’re working for reproductive and sexual control, all our projects must be interconnected too.